There are two types of funding: small Grants and Large Grants. The form for the small grant is very simple, but we need more detail for the larger awards. Please read the aims of Dover Big Local and the guidance document before filling in your form to make sure a project you would like to have funded fits within our plan or we may not be able to help you. It may be helpful to talk to one of out team too. You an make an appointment via the Hub. Downloading the funding application form – we can help you with completing it if you wish. Gathering evidence: why is your project needed, how many people will it help and what changed will it bring? Collecting evidence: photographs, surveys, blog entries and background information will all help us to understand why your project is a good idea. Getting costs: get some initial estimates for any professional work or materials, premises rental or hire and staffing costs your project may involve. Gathering support: who will help with your project? You can start to get people interested in volunteering to help. It may be possible to get donations or hold some fundraising events to get the project started and cover initial expenses. 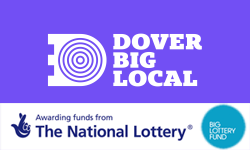 Look into match funding: Dover Big Local may not be able to fund your entire project – what other grant funding bodies or organisations might help. Match funding can be in the form of services offered for free as well as financial help so find out what is on offer to you? Talk to us: we can help you with ideas for all of the above tasks and may be able to put you in touch with local people who can help you. Dover District Council is offering grant funding to community groups that can show benefit to the local area, and groups are invited to apply for individual grants from £100 up to £1,000. Last year, more than £22K was allocated to 29 different community groups across the district, including the Deal Community Sports Football Club, Guston Village Hall Trust, Skillnet Group Community Interest Company (CIC), Dover Castle Archers, and the Sandwich Concert Band. Sport England is providing grants of between £50,000 and £500,000 over a maximum term of four years to partners that have a successful track record in changing behaviour with families in lower socio-economic groups. These organisations do not necessarily need to be related to sport or physical activity but they do need to be eligible to apply for National Lottery funding. Sport England may look to broker partnerships between organisations submitting Expressions of Interest where appropriate. The grants can cover both revenue and capital costs for projects that offer new activities for families with children, particularly those from lower socio-economic backgrounds, to get active and play sport together. · Increase activity levels of families in lower socio-economic groups whose children are not doing 60 minutes a day of physical activity. · Support families to be active together throughout the week. All projects must target children aged between 5 and 15 years. Priority may be given to projects which target those aged between 5 and 10 years. Inside Track is a monthly newsletter including regular features such as: … KCC grant schemes and contacts. … If you would like a previous edition or have any questions about this newsletter please contact kccinsidetrack@kent.gov.uk.